Choosing a qualified and experienced lawyer is the best way to be sure you get your fair share of all the assets of your community estate. Even in what may appear to be a “simple” case, complex issues may exist which can adversely affect you. Our office has demonstrated experience in the handling of routine and complex family law matters. You should not be forced to give up more or accept less than what you deserve! 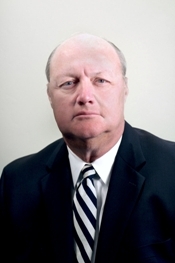 Wayne L. Jones is Of Counsel to Hittelman Strunk Law Group, LLP. He brings over 38 years of experience to the firm regarding the resolution or trial of extraordinary family law matters. Wayne will continue to practice family law on behalf of the firm, as well as be available to consult and advise on matters handled by the firm. Wayne is a native of New Orleans, Louisiana. He graduated from Louisiana State University New Orleans in 1970 with a Bachelor of Science degree in Business. Following active service as a Commissioned Officer in the U.S. Navy, he earned his Juris Doctorate degree in 1976 from Western State University. He was admitted to the State Bar of California in 1976 and has practiced family law in Orange County since that time. Wayne has served as a Judge (Pro Tem) and a Temporary Judge of the Orange County Superior Court for many years. He has been appointed by the Superior Court as a Referee and Special Master and has also served as a Private Judge (privately compensated Judge) on numerous family law matters. He has spoken and lectured on many family law topics before the Orange County Bar Association and its Family Law Section, Orange County Trial Lawyers Association, Newport Harbor Bar Association, South Orange County Bar Association, Hispanic Bar Association, Celtic Bar Association, the National Association of Women Business Owners, the Forensic Accounting section of the California Society of Certified Public Accountants, legal secretarial and paralegal associations, and numerous civic and service organizations. 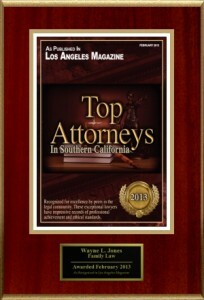 Wayne is consistently recognized for his professional achievements, high ethical standards and professional experiences by nominations as one the Top Attorneys of Orange County, Top Lawyers in Southern California, Top Attorneys in California, and by Super Lawyers. He also has been continually rated as “AV Preeminent” by his peers through Martindale Hubbell’s Attorney Directory, the highest possible rating available to an attorney.